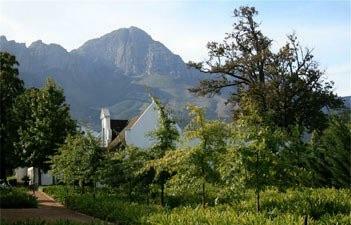 Leading the world in sustainability, South Africa is largely considered to be the greenest wine region on earth. Indaba wines are crafted in the Cape Floral Kingdom, the smallest, yet most diverse of the six plant kingdoms. The look and spirit of Indaba reflects both South Africa's position as a leader in sustainable production and the handcrafted approach found in the country's art world. A commitment to social responsibility has always been a key part of the Indaba philosophy. A portion of the brand's global sales is allocated to the Indaba Education Fund, a fully accredited 501c3, which supports early childhood development by providing infrastructure, learning materials and teacher training at schools established for wineland workers' children. The Indaba range is comprised of Chenin Blanc, Sauvignon Blanc, Chardonnay, Merlot and Mosaic (red blend). Stylistically fresh, juicy and approachable, these wines are food friendly and offer a bottling for every palate. Consistently garnering "Best Value" and "Best Buy" accolades, Indaba Wines present character and structure well beyond its price. Wine Enthusiast 84"Dark berry and a light, tropical fruit quality on the nose add to the appeal of this Pinotage. On the palate, the flavors of juicy berry and banana are rounded and smooth, offering assertive spice but in a gentle package. "